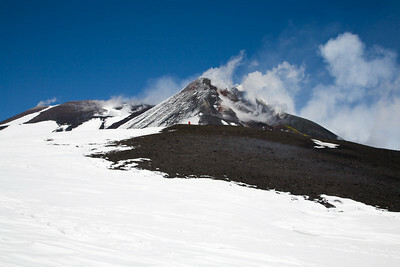 These photos were taken during my hiking-tour to the La Montagnola crater on Mt. 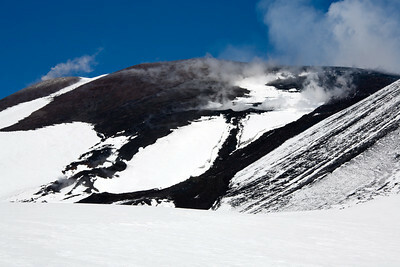 Etna on 07.04.2007. 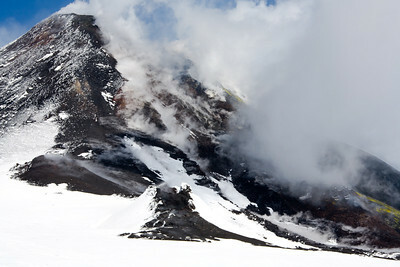 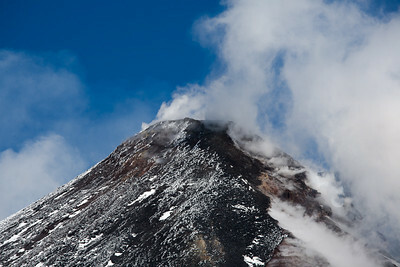 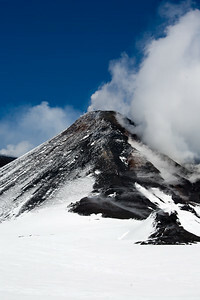 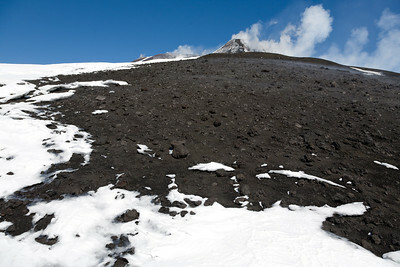 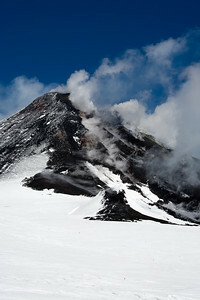 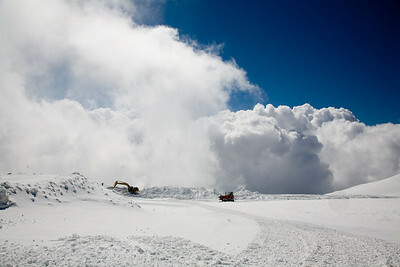 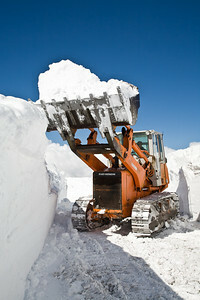 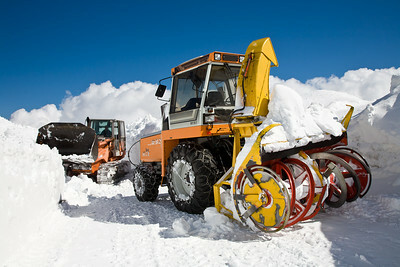 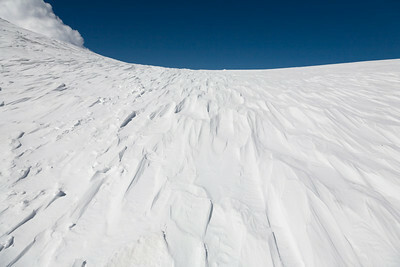 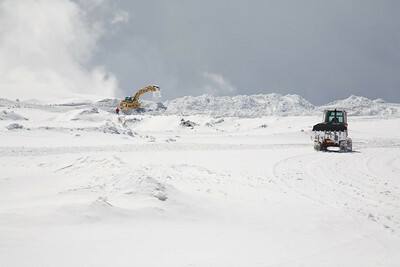 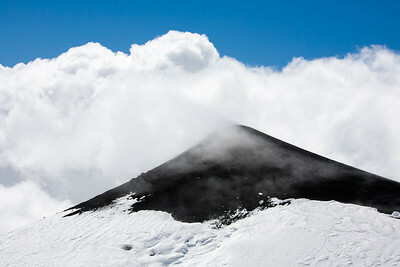 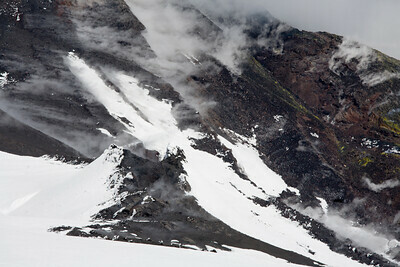 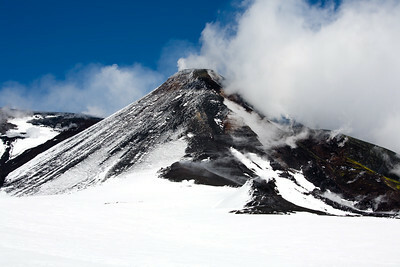 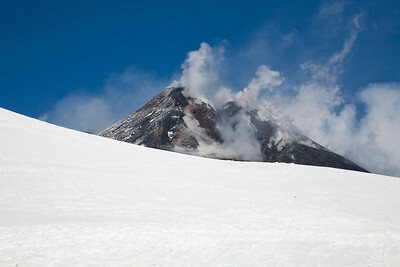 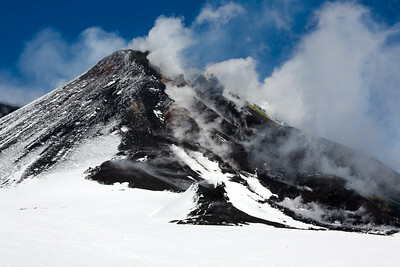 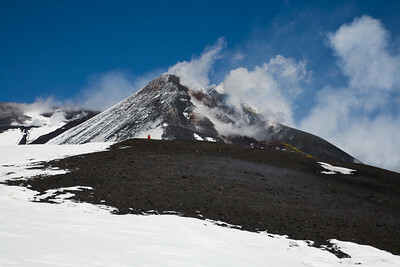 On this spring day, the upper Etna area was still covered with snow. 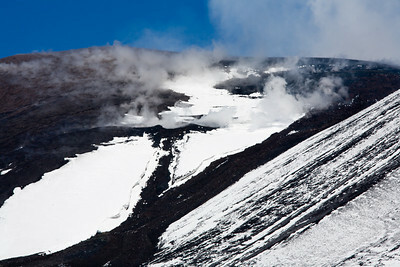 Just a few months later Etna had another eruption. 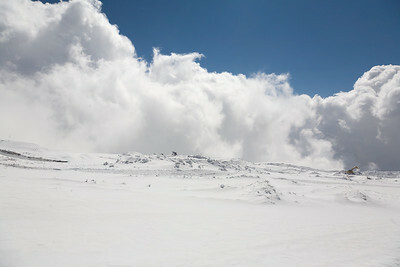 I traveled to Rifugio Sapienza (1910 m) by car and intended to continue by jeep bus. 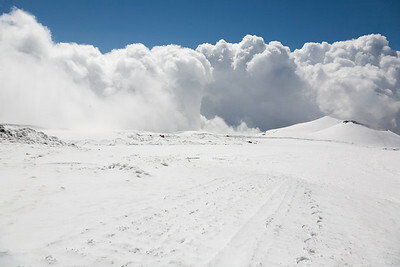 Unfortunately the jeeps were not operating as the road did not permit it. 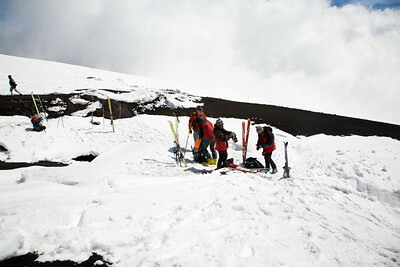 So I hiked about three hours thru the snow along with other adventurous tourists. 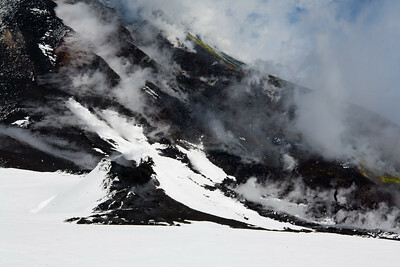 The scenery was fantastic, almost surreal! 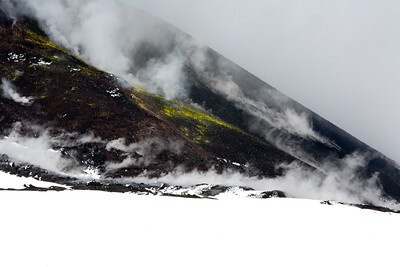 On the border of the south-east crater I spent around one hour before eventually returning to Sapienza.